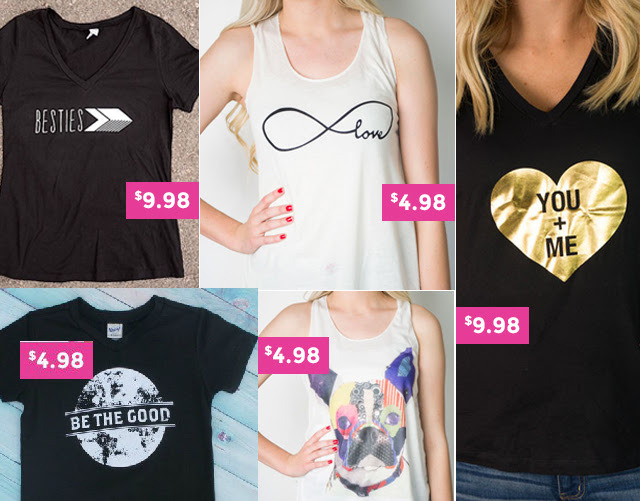 Head on over to Cents of Style and score 50% off the lowest marked price on clearance graphic t-shirts and tank tops. These are styles that we will no longer be carrying, so grab yours at prices as low as $4.98 & FREE SHIPPING! There will be kids styles for $4.98, women's style for as low and $4.98 and all styles will be under $10 & FREE SHIPPING. At $4.98, that is over 80% off the regularly marked price.